Cindy was born in Teaneck, New Jersey and raised in the Hudson River Valley of New York State. She received a bachelor’s of science degree in business management from Ithaca College in 1982, and a juris doctor degree from Northeastern University School of Law in 1987. Prior to joining the firm, she was a law clerk for the Massachusetts Superior Court Justices. She joined the firm in 1988, and concentrates her practice in the area of family law, with cases ranging from joyous adoptions to potentially more emotionally charged family law matters, including paternity, child support, custody, and divorce. She also handles personal injury litigation, including all types of injury claims and motor vehicle accident claims, as well as employment litigation, including discrimination and sexual harassment cases, fighting to make a difference in the lives of individuals who have been treated unjustly and unfairly. Cindy has been an adjunct professor at Western New England University School of Law and Bay Path College, where she taught employment law and family law, and she has been a faculty member on various continuing legal education panels. She has also served on the boards of many community organizations over the years, including the HIV/AIDS Law Consortium and the Housing Discrimination Project, and she has been a volunteer attorney for the National Multiple Sclerosis Society. 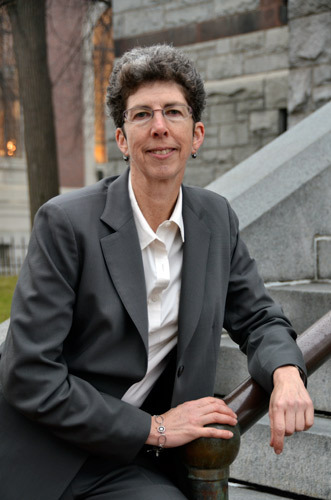 She is admitted to practice law in Massachusetts, New York, and the U.S. District Court of Massachusetts, and is a member of the Massachusetts Bar Association (family law section), Hampshire County Bar Association, Hampden County Bar Association, Franklin County Bar Association, Massachusetts LGBTQ Bar Association, and the Association of Family and Conciliation Courts.